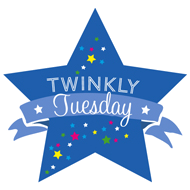 Toddler Thursday: When Your Toddlers Aren’t Toddling Together | How Do You Do It? We’ve all heard the common question, “How do you do it?” That is how we got our name. Another common phrase I have heard over the years, as many parents of prematurely born twins do is, “They’ll catch up on their own time.” I hate to say it, but sometimes this phrase is like a Band-Aid trying to cover up a bigger “owie” than it can. Sometimes it’s the only thing people can think to say to try to make the mother feel better, when she is wondering if there is a bigger problem to be addressed. Take my little guys, for example. Growing and progressing a little more slowly than the average baby, but also born much earlier than the average baby. We always take their early arrivals into account. We don’t want to overshoot and stress them out during their development, yet, as a mother I don’t want to undershoot their capabilities by overprotecting or making excuses for them. I believe mothers of premature children may be a little more likely to overprotect their children at times, and that’s okay. Everyone has been through a lot! I also believe there is a balance and it can take a bit of time and self-reflection to understand your parenting style. My twins are about to turn 4 and when I think back to two years ago, I remember twin b was not yet toddling. Meanwhile his twin had started motoring around on his own. Twin b was able to walk everywhere on his knees, but not his feet. Alarm bells were going off in my head, but I tried to ignore them and give my son more time to figure it out. We shouldn’t compare our twins, as they are individuals and they often do learn things at different times. I kept watching him closely and mentioned it to a few people now and then. I often heard, “he’ll figure it out on his own time.” Hmmm…Are we sure about that? After lots of watching him in silence, assessing and reassessing; working with him one-to-one to try to get him to walk, I finally trusted my instinct. Something was NOT right. As he approached 24 months corrected/27 months actual we looked at his feet closely. I knew he was able to walk if he had the right support for his feet. 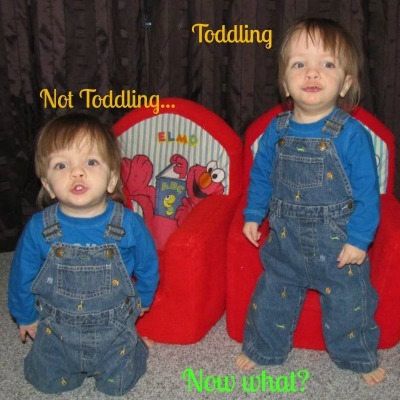 I had inspected his feet closely, compared them to his brothers (sometimes comparing twins IS helpful,) watched what he was doing when he tried to toddle and cruise along the couch. I put 2 and 2 together when I realized he could cruise without a worry, but as soon as he tried to stand in the middle of the floor or walk, he’d collapse. His teeny tiny feet just couldn’t keep him standing upright because his feet were very flat and one was practically turning over. We weren’t seeing it because we were trying to promote his walking by keeping him in supportive shoes most of the day, which was supported by his physiotherapist. Once I realized his feet were likely the problem, I contacted our PT and she said my instincts could be correct and he was seen later that week. She yanked off his little shoes, assessed his feet and confirmed that his feet would benefit from the use of orthotics. He was fitted with a custom pair of ankle-foot orthotics (AFOs). The day we picked up his custom AFOs, the physiotherapist helped him put them on as the orthotist watched. First we had to dig through a box of extra shoes at the centre to fit the larger sized AFOs. Once the AFOs and shoes were on, twin b was set in the middle of the floor…and…HE STOOD…and then…HE WALKED! ALONE. It was amazing to see unfold. One moment he’s a non-walker, the next he’s toddling around the assessment room on his own! I could not hold back my happy tears! They were also likely tears of relief, but I didn’t realize it at the time. The moral of this story? Trust your instincts and if you feel something isn’t making sense or you’ve said and heard, “he’ll catch up on his own time,” maybe a few too many times, it’s okay to put your foot down (pardon the pun) and ask LOTS of questions to get the answers you need. Very well said Carolyn. Popular behaviour psychology says we shouldn’t compare our children but sometimes we need to do just that to evaluate if something’s not right.